The European Commission’s Directorate-General for Research and Innovation has recently published a report entitled Getting Cultural Heritage to Work for Europe, which is freely available online. The report was prepared by an Expert Group on Cultural Heritage established under the EU’s Horizon 2020 Work Programme 2014 for the Societal Challenge ‘Climate action, environment, resource efficiency and raw materials. The Expert Group was chaired by Dr. Philippe Busquin, former Commissioner for Research, Science and Technology and former Member of the European Parliament. The group aimed to contribute to further investigating and providing input for fully developing the potential that cultural heritage holds for Europe. Presenting several examples from different European countries, the report suggests that lessons should be learnt from places where cultural heritage has been a positive economic, social and environmental driver. Innovative financing, new forms of governance, unified landscape management, public private partnerships, crowd-sourced funding, philanthropy and many other innovative and creative approaches have been taken to releasing the locked-up potential of Europe’s heritage. Those lessons should be applied to unlock the possibilities for growth and development that cultural heritage holds across Europe. The authors believe that the evidence demonstrates that relatively modest investment in cultural heritage can pay substantial dividends. These can be taken economically but also in terms of improving environmental sustainability and social cohesion. ASEF's contribution is with the financial support of the European Union. Virtual Collection of Masterpieces (VCM) is about sharing. Objects that are physically far apart and spread in museum collections all over the Eurasian continent are brought together in the virtual world. The Asia-Europe Foundation (ASEF) furthers understanding, fosters relationships and facilitates cooperation among the people and institutions of Asia and Europe. ASEF enhances dialogue, enables exchanges and encourages collaboration across the fields of governance, economy, sustainable development, public health, culture, and education. 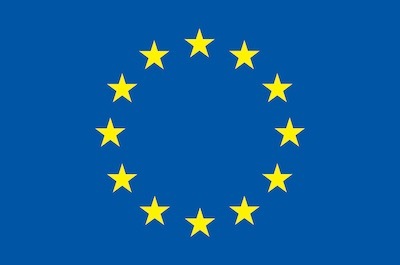 This website was created and maintained with the financial support of the European Union. Its contents are the sole responsibility of and do not necessarily reflect the views of the European Union. Copyright © 2019 Asia-Europe Museum Network.